this party with consent of your teen. Sit some time with him and ask him what he/she actually wants. 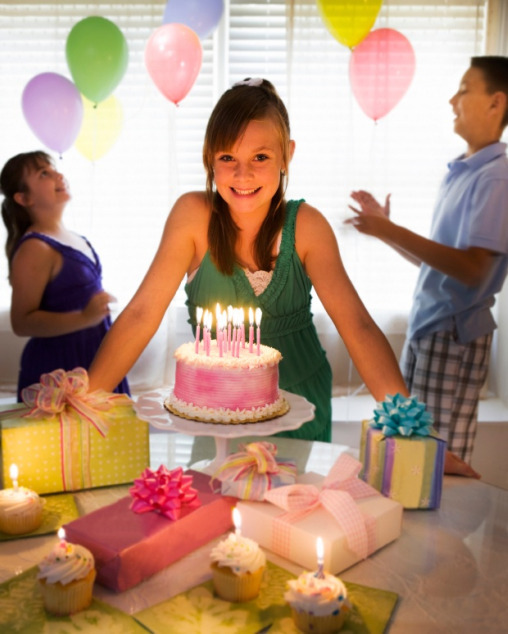 You are assured to get great birthday party ideas from your teen to work with. However we have also worked for you and going to share some key ideas for you to arrange a teen’s birthday party. Follow the ideas shared below. Here are some ideas for you that will help you in arranging birthday party for a teen boy. Select a scavenger theme If you are planning a birthday party for a teen boy. You can arrange this party at your home or at some outdoor venue like a park. In this team, divide all guest boys in different teams and give them list of items they have to collect. The team that succeeds to gather items according to provided list will be winner and will get prize. Once the game is over, you may call all boys to have pizza. Bonfire party is another very interesting theme for celebrating teen boy’s birthday party. For this you will have to arrange some snacks, roast food, soft drinks etc for all boys to have a bash. Play some exciting music in background. Usually teen boys love to have fun in rocking music in loud voice. You may arrange a special juice bar for boys to make them feel as they are enjoying an adult’s party. Halloween party theme can also be selected for celebrating teen boy’s birthday party. Selecting this theme would be a good choice if your teen’s birthday takes place during fall season. Make all arrangements according to the theme and arrange haunted maze in backyard of your home. You may ask all guests to come in themed dresses. This theme will be great to organize a costume party. Watching movie is a great party idea for boys to have fun. You may arrange for your son’s favorite movies. It would work great if you arrange a projector for watching movie. Now have some ideas that are specifically shared for arranging birthday party for a teen girl. Cooking themed party will make all teen girls have fun who have never worked in kitchen before it. You may arrange a cooking competition among teen girls by dividing girls in different teams and then give prize to the winning team. Sleepover party is a great source of fun for teen girls. You may arrange mattresses, snacks and a projector for girls to spend night together having chit chat with each other and enjoy snacks and pillow fighting. Girls can also enjoy sleepover party theme by playing different games, signing songs or dancing etc. Spa party has no alternate for teen girls to feel being treated as adults. Girls love to have spa treatment with soft music played in background. Let the girls spend some time in having spa treatment after cutting cake. Party Food selection depends on the theme selected for party. If a Halloween party theme is selected then roast food or hotdogs will be great choice along with black cold drink. A menu that can be best suitable for all themes include ordering chips, cookies, cakes and gourmet food items. Party Decorations will be made according to selected theme. Dominating color to be used in party decorations for girls should be pink and for boys it should be blue or white. Well depending on theme you may make party decorations in different bright colors. Party Favors are not necessary while arranging birthday party for teens but if you arrange you need to think differently for teen boys and teen girls. A best teenage birthday party favor is to give CD as gift. Other party favors can include sunglasses, cookies, candies etc. These were some teen’s birthday party ideas that will help you in throwing exciting birthday party for your teen boy or girl.